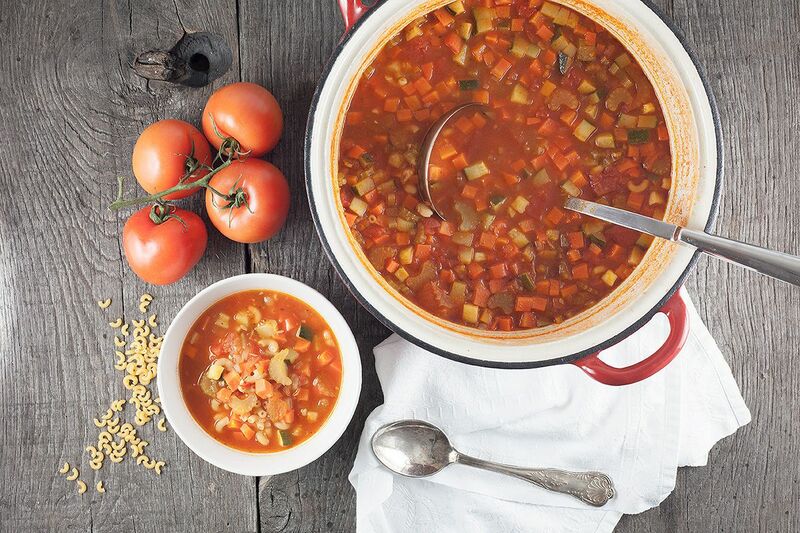 Minestrone soup is an amazing soup filled with vegetables and macaroni. 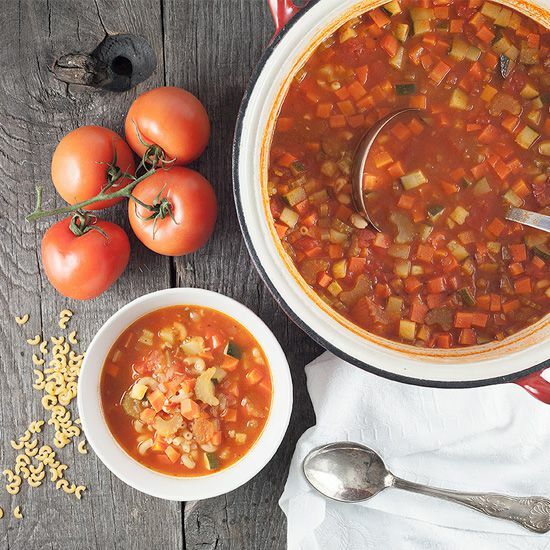 Very hearty classic Italian soup and ready in 30 minutes. PEEL and finely chop the onion and garlic cloves. PEEL and chop the carrots into small cubes. The easiest way to do this, is first cutting the carrot into strips and then in equal cubes. Also chop the zucchini in small cubes and the celery stalks in thin pieces. The smaller you chop the veggies, the less time they need until they’re fully cooked. HEAT olive oil in the Dutch oven or large pan. SAUTE chopped garlic and onion for about a minute. 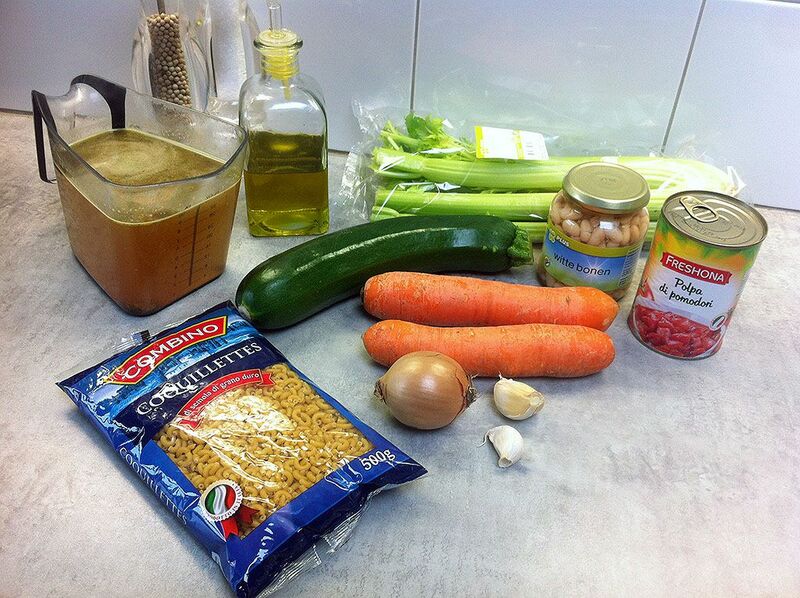 ADD the chopped, celery stalks, zucchini and carrot and saute a few minutes more. POUR in the canned tomatoes, chicken stock and small elbow macaroni and let it simmer for about 20 minutes. Depending on the size of the chopped veggies it can take some more time until they’re tender. ADD the beans in the last 5 minutes of simmering. Bring the soup to taste using pepper and salt. Enjoy!